Bullfighting is deeply rooted within global historic traditions. But today, local public opinion leans against the tradition. Though the site includes information for tourists interested in attending the events, TripSavvy trusts its readers to make their own decisions on the ethics of bullfighting as an attraction. You can find everything in Madrid—and that includes bullfighting. Madrid and Andalusia are the dual epicenters of bullfighting in Spain. Despite most people's impression of bullfighting as being unique to the whitewashed villages of Andalusia and Costa Blanca, Madrid is a great place to see a bullfight in Spain. The city attracts fewer tourists and more real aficionados than some of the bullfights in Andalusia. 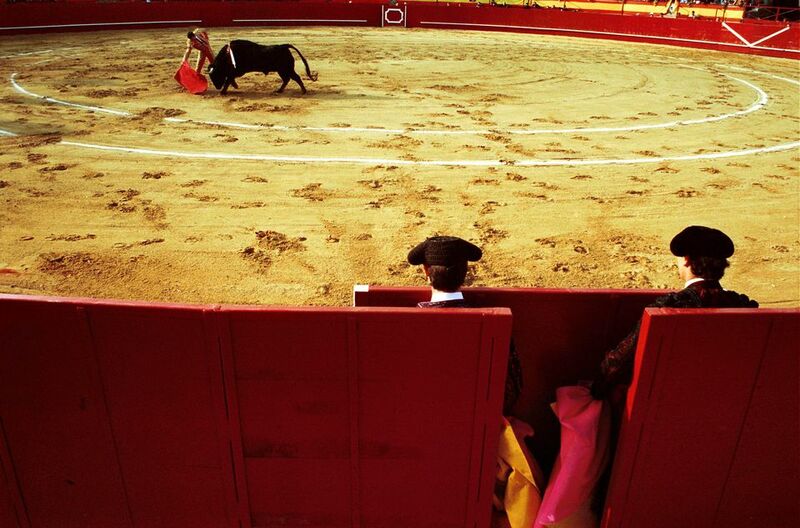 Read on for more information about watching bullfighting in Madrid. Bullfights are scheduled every Sunday (during the season) at 7 p.m. from mid-May (during the San Isidro festival) until October. There is no bullfighting in Madrid outside the season. Ticketstoros sells tickets for Madrid, Seville, Valencia, and Malaga bullfights. Alternatively, tickets go on sale on the Friday or Saturday before the event at the bullring (10 a.m. to 2 p.m. and 5 to 8 p.m.) or on Sunday (10 a.m. to 7 p.m.). Tickets rarely sell out, so you shouldn't have a problem even if you turn up at the door without a ticket. Originally, there were two bullrings in Madrid: Vista Alegre and Las Ventas. Las Ventas, with a capacity of 20,000 people, is the more important of the two and is where the fights take place today. Vista Alegre is used now as a concert and sports venue. Find Plaza de Toros Las Ventas on Calle Arenal (No. 237) or the Ventas stop on the metro. In addition to the weekly bullfights, there are six weeks of almost daily bullfights around the San Isidro festival and adjacent festivals (from the start of May until mid-June) and for the Feria de Otoño (four days around the start of October). Bullfighting is not to be confused with the annual Running of the Bulls or San Fermin festival in Pamplona in the summertime. Should You Learn Spanish in Madrid?